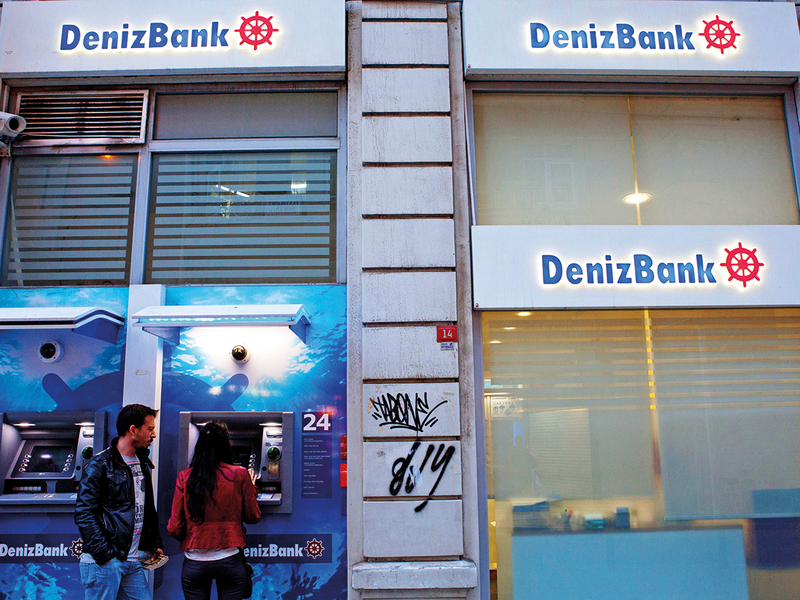 Dubai: A depreciation in the value of the Turkish lira in late March and in August 2018 will give Dubai-listed Emirates NBD a $450 million (Dh1.65 billion) direct advantage as it acquires Turkey’s Denizbank A.S.
Emirates NBD said on Wednesday it has revised the terms under which it will acquire 99.85 per cent of Denizbank, with the value of the deal now at $2.75 billion instead of the $3.2 billion agreed upon in May 2018. The deal also offers Emirates NBD a chance to step into the Turkish market, where analysts see attractive opportunities over the long term. In lira terms, the latest figure on the value of the deal is 15.48 billion liras (Dh10.11 billion), compared to 14.6 billion liras agreed upon in May, but in dollar terms, the plunge in the lira makes the deal now less costly for Emirates NBD. There could also be additional dollar gains for the Dubai bank from potential interest. The latest decline in the lira came just 10 days ago when the currency fell by over 7 per cent in one day amid municipal elections in Turkey that saw President Tayyip Erdogan’s ruling party lose support. “Turkey offers an attractive opportunity over the longer term, but in the short term, it will be a challenging market to manoeuvre,” said Aarthi Chandrasekaran, vice president of asset management at Shuaa Capital. Other analysts said that for Emirates NBD, an acquisition in Turkey will allow it to grow within the broader Middle East and North Africa (Mena) markets that are trading partners with the UAE. The bank, currently one of the largest three in the UAE in terms of asset size, also operates in Saudi Arabia, and had acquired BNP Paribas’ unit in Egypt. Elsewhere, Emirates NBD has a branch in India, Singapore, and in the United Kingdom, as well as representative offices in China and Indonesia.